Published in partnership with Girls Who Code!. If you could make an app, computer program, or anything programmed with code, what would it be? A game, clothing that lights up, or maybe a robot to help you clean your room? 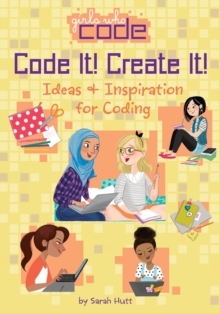 Whatever your interests are, this fun-filled interactive book will guide you through your brainstorming process, provide inspiration, and teach you basic coding concepts. So put your thinking capon and get ready to be creative!